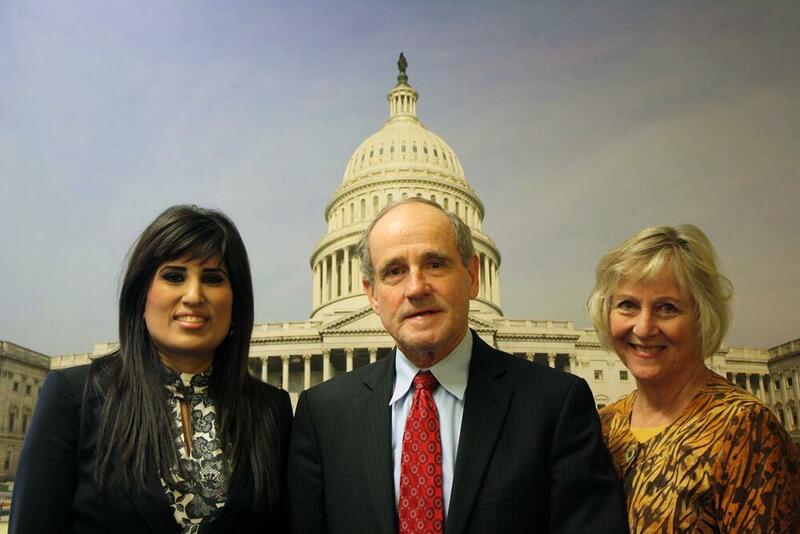 Nagmeh Abedini met with Sen. Jim Risch (R-ID) during her trip to Washington this week. A Boise woman was on Capitol Hill Thursday to make her case for the U.S. government negotiating the release of her husband from a prison in Iran. Nagmeh Abedini, her attorney and experts on human and religious rights, testified in front of a House subcommittee. They urged President Barack Obama and the U.S. State Department to do more to free Saeed Abedini – the Boise man held in prison in Iran for more than a year. Abedini then criticized the U.S. government for failing to negotiate her husband’s release during recent talks over sanctions related to Iran’s nuclear program. The family’s attorney and several members of the House committee also blasted the Obama administration for what they see as a missed opportunity. “They have a colossal failure in trying to relieve some of these sanctions without making this at the forefront,” said Randy Weber, R-TX. Concerns have been ongoing over Saeed Abedini’s health. He was moved this fall to a prison known for housing some of Iran’s most violent offenders. Pastor Saeed Abedini has been the focus of media reports and pleas for help from his family in Boise. Now Abedini will be the focus of a hearing of a U.S. House Foreign Affairs subcommittee. Abedini has been a prisoner in Iran since September of 2012 after being accused of forming a network of Christian churches. He's serving an eight year sentence and was recently moved to a notoriously brutal prison in Iran. Human rights officials say an Idaho pastor who is being detained in a notorious prison in Iran has been allowed to visit with family. Officials with the American Center for Law & Justice say Monday's visit marked the first time Saeed Abedini was able to see family since his transfer to Rajai Shahr prison more than two weeks ago. The 33-year-old Christian pastor who had been living in Boise. But he's been in Iranian custody since September 2012 and is serving an eight-year sentence for undermining state security. The wife of a Boise pastor imprisoned in his native Iran for nearly a year now says she’s not expecting to see her husband for at least another year. Naghmeh Abedini says she was devastated when she recently learned her husband’s eight year sentence had been upheld by Iranian judges.